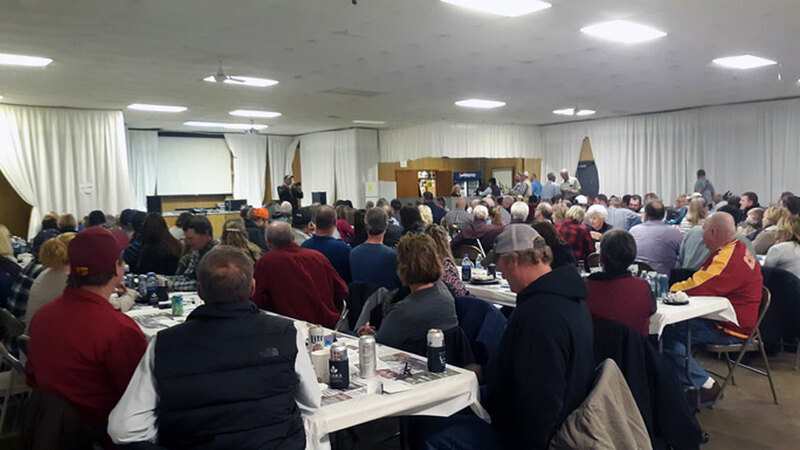 Nationally-touring agriculture speaker and comedian Jerry Carroll has recently performed in: Altoona, Ames, Atalissa, Bettendorf, Cedar Rapids, Clear Lake, Davenport, Denison, Des Moines, Dubuque, Greenfield, Hull, Johnston, Malvern, Mt Pleasant, Muscatine, Osceola, Salix, Sioux Center, Sioux City, Spencer, Tama, Waterloo, Woodbine, IA and other cities. Jerry Carroll was very prompt, very chatty, and blended right in. He listened to the speaker before him and added it right into the performance. We had a lot of good comments from the audience." Jerry Carroll had the entire audience in tears with his funny stories!!" Jerry Carroll did a wonderful job at our grower meeting. He stayed in touch with me in the days leading up to the presentation, and arrived in a timely fashion. The audience certainly enjoyed him, and our company is very happy with the job he did." Wow -- where to start? Jerry Carroll met and exceeded my expectations. He was very easy to work with and very thoughtful. Jerry attended the Vendor Reception on Monday night - networking with the vendors and getting to know our committee and the surrounding area. On Tuesday, Jerry arrived early at the venue and walked around networking with the vendors; meeting the public and attending the speaker before Jerry - Iowa Agriculture Secretary, Bill Northey. Everyone I have talked to that attended Jerry Carroll's presentation have told me nothing but great things about his presentation. Jerry staying up on what is happening in Agriculture and Business in other parts of the US - and not just his home state is what impressed me. He very much so has his homework done to relate to his audience. Jerry also dressed correctly - he did not try to out dress the audience. Jerry's audience was farmers and farm related business people mainly and he dressed to relate to them - this was wonderful! After Jerry's presentation and before he left I was very touched that he came to find me to thank me and give me a hug. I would recommend Jerry to anyone." We were very pleased with Jerry Carroll. He had our crowd laughing the entire time and we really enjoyed his company. Thank you." Jerry Carroll was so kind and honored us by being present for the whole event on Wednesday evening. He even gave another "performance" after the event was over which created quite a buzz at the owners meeting on the following Friday." Jerry Carroll did a great job. He showed up before hand to check in and socialized prior to going on stage. He was certainly easy going. There were a lot of big smiles and laughs shared. He also related well to the audience." It is always a pleasure to have Jerry Carroll entertain our events! We have booked him multiple times in several states and I look forward to seeing him each and every time!" I received very good feedback about Jerry Carroll from all who attended. I think everything went very well and all the way from the first booking to the event went smoothly. Overall very well done show and hopefully he had a good time as well. Thanks for the evening." Everyone had a great time at this year's Holiday Party and really enjoyed Jerry Carroll's performance. He provided a high quality and entertaining show. We would love to have him back again sometime!" First of all, a big thanks to Jerry Carroll. The evening went great, and everyone commented on how much they enjoyed him. I had set some expectations and I can definitely say that Jerry exceeded them. Second, I have had nothing but good service from you and the agency. I look forward to dealing with you again to bring Jerry back in the future." Jerry Carroll showed up on time and very quickly became one of us before the show. He kept the show clean and was able to relate to the crowd very well. His material was all good with a pretty large percentage of it improvised and custom to our group which I think really helped the show. Jerry also stuck around for a while after the show and visited with some of the audience which I think people really appreciated. I would recommend Jerry Carroll to anyone." - Vice President, Farmchem Corp.
Jerry Carroll was FANTASTIC. His comedy fit right in with our crowd. He was fast paced and exciting to watch. We enjoyed his stories about growing up and it's funny how you can relate to lots of the things he has been through! He arrived early, interacted with a lot of our customers and enjoyed dinner with them as well. We would recommend him to anyone and hope to have him back again in the future!" Jerry Carroll called me twice to let me know he had arrived and then to confirm timing. He was prompt and interacted with others beforehand, and his performance was great, clean humor which is exactly what I asked for. Would recommend Jerry to anyone wanting to lighten their event." 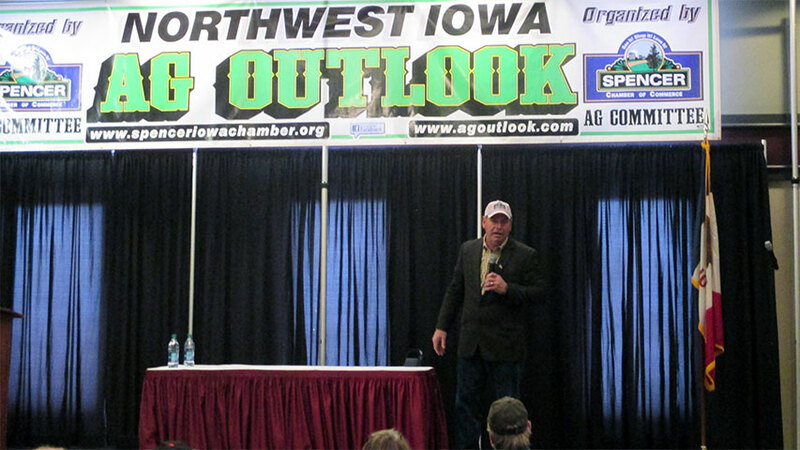 - GM/CEO, Linn Co-op Oil Co.
Jerry Carroll is a generous, entertaining, and inspiring speaker. His comical talents was a perfect wrap up to our Conference. We were so glad to have him join us! He had the crowd laughing and was a great person to relate to our group. It was an absolute pleasure working with him. Thank you for everything!" Jerry Carroll was fantastic. The next morning my phone rang off the hook as they said the entertainment was SUPER. He is a must to see - you cannot go wrong getting him for entertainment. We are already looking forward to bringing him back next year." Jerry Carroll was very well received by our members. Jerry's farm background allowed him to relate well with our organizations Agriculture/rural members. Post performance survey of our members proved Jerry was the right choice for our event." Our audience loved Jerry Carroll and his material. On-time, very professional and accommodating, with lots of energy, Jerry was very easy to work with. I would highly recommend Jerry to anyone interested in hiring an awesomely funny comedian for their event." Jerry Carroll did a very good job of entertaining a group of dairy farmers and families. We appreciated his humor and his ability to relate to our work and lifestyle." Jerry Carroll did a great job communicating with his audience. He had them in constant laughter. He did an excellent job of wrapping up with how important today's farmers and agriculture is important to our society and to our nation. Great presentation. I would highly recommend him to anyone." Jerry was a pleasure to work with. He was very professional and courteous. Our group was all farmers so he was able to relate to them very well. I am going to recomend him to our corporate office for our employee Christmas party."